The high rate of Irish emigration was unequalled in any other country and reflects both the overseas demand for immigrant labour and the appalling lack of employment and prospects for the average Irish person. These figures are considered underestimates because it is difficult to ascertain the numbers who settled permanently in mainland Britain. 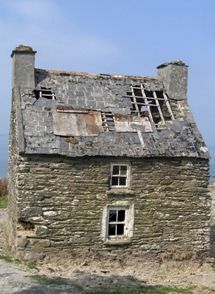 Ireland was still a part of Britain, so travel to or from Wales, Scotland and England was not subject to any scrutiny. About 80% of Irish emigrants who left their homes in this period were aged between 18 and 30 years old. As the figures above suggest, the levels of emigration from Ireland up to 1847 did not materially reduce the population of Ireland. But in that year, the first after the pototo harvest had failed so spectacularly, the exodus really began. According to figures collated 15 years later, some 215,444 persons emigrated to North America and other British Colonies in that one year alone. This doubled the previous year's figures for Irish emigration. Between 1841 and March 1851, North America was the most popular destination while some 300,000 went to Australia. Emigration from Ireland to New Zealand did not get underway until later. An estimated average of 2,000 people emigrated there between 1871 and 1920. * Figures for 1851-52 include the last nine months of the year 1851 and the entire year of 1852. Note A: Figures show the percentage of the 1851 population who left Ireland. The first steamer to cross the Atlantic was probably the Canadian ship SS Royal William which made the voyage from Quebec to London in twenty five days in 1833. At a time when a typical crossing in a traditional sailing ships took five to eight weeks, this was a huge development but it was to be more than two decades before steamers started to play any significant part in the story of emigration from Ireland. One of the co-owners of the SS Royal William was Samuel Cunard who subsequently founded the eponyomous company in 1840 having won the contract to provide a fortnightly mail service between Liverpool and Halifax, Boston and Quebec. The Britannia made its maiden voyage from Liverpool to Halifax and Boston on 4 July 1840, reportedly with a cow onboard to provide fresh milk to passengers. 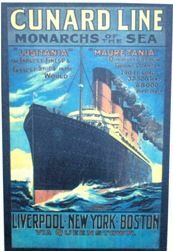 This ship completed its voyage in just 14 days and such was its success that Cunard had a fleet of 12 ships within a decade. The number of passengers carried across the ocean in steamers at this time was tiny, however. These early steamers were principally cargo or mail boats. It wasn't until the mid-1850s and 1860s that some comforts  electric lighting, more deck space etc  were added for passengers. 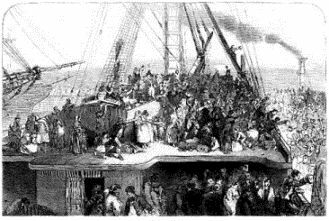 By 1863, some 45% if Irish immigrants arrived in North America on steamships. 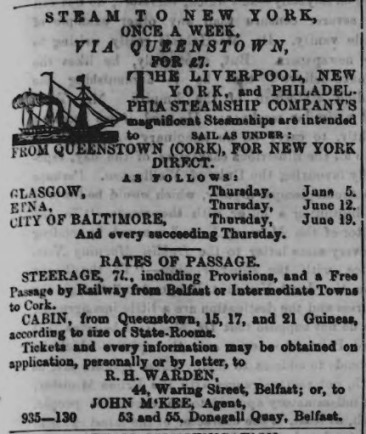 By 1866, this had increased to 81% and within another four years nearly all emigration from Ireland to Canada and the USA was made on steamers. See also the Journey to Ellis Island page for details of the passenger experience. Because the phenomenon of mass emigration from Ireland in the 19th century was largely prompted by the terrible catastrophe of the Great Hunger (the 'famine' of the late 1840s), the consequences of one cannot be separated from the other. Having been removed from their small strips of land through failure to pay rent, starvation hit the landless and the poorest hardest, as you would expect. Smallholders (ie those with small farms of just a few acres) also sold up to a large landowner or accepted their offer of passage to North America. Within a few years, the numbers of farms of less than five acres had been at least halved in number. The reality of the famine saw acceptance that farming methods had to change; such dependence on one crop - the potato - could not be repeated, so more livestock farms were created. Another big major social change was a shift to single inheritance. Previously, land was typically divided equally between all surviving children as soon as they married and started their own families. 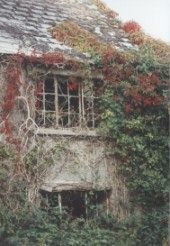 Over the generations, too many plots of land had shrunk to barely more than cabbage or potato patches that even in good years could hardly sustain a small family. This, too, had contributed to the circumstances that made the 1840s famine so devastating. Two strong trends emerged with the move to single inheritance. Firstly, marriage took place later. The son (and it was nearly always a son) who was to inherit would not bring a wife into the family home until his parents were elderly or had died. The second consequence of single inheritance was even more emigration from Ireland. While a second or third son or daughter might marry into another family or enter the church, the remaining children had no future security or stake in their home. For most of these children, emigration was the only option. So, in the second half of the 19th century, emigration from Ireland typically saw the unskilled, single and young - the 15- to 24-year-olds - set sail. Nearly as many women as men left.